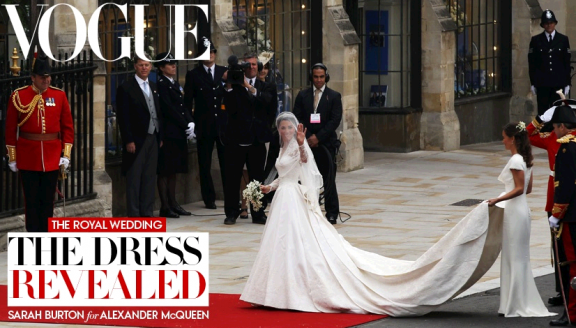 First one is of course the Royal Wedding~ I personally was not into it~ but I did find related news interesting. The Second World News that happened was that Osama Bin Laden was finally Dead! Although I think this is not the first time we had news saying that Osama Bin Laden has been killed, so I am a little skeptical about this. Also, the fact that they buried the body at sea so NO ONE can find it.. is kinda weird... according to the news it is supposedly so that his followers cannot follow him anymore.. but.. I was expecting to see photos of his dead body so I can believe it!? Perhaps those photos will be release later..
Anyways~ There was still a lot of good news this past weekend I think~ Did you care about the Royal Wedding? & do you believe that Osama Bin Ladin is really dead? a lot of interesting stuff seem to be happening lately. i hope you get some rest soon dear. I watched the Royal Wedding thru live broadcast, but only the middle part. Can't really sit down and watch the whole process... hehe..
@Hayley: Oh yeah, it's super long I think.. I only watched it for a few mintues!~ hahhaha.. I thoroughly enjoyed the Royal Wedding to be honest mainly because I was stood in front of the Buckingham Palace the whole time! Haha the atmosphere was amazing! PS. I want to wear a weird hat too :) Haha! @Marion: Thank u! I follow u back~ but I cannot leave a message cuz I couldn’t find the comment link~~~ @__@ !! !